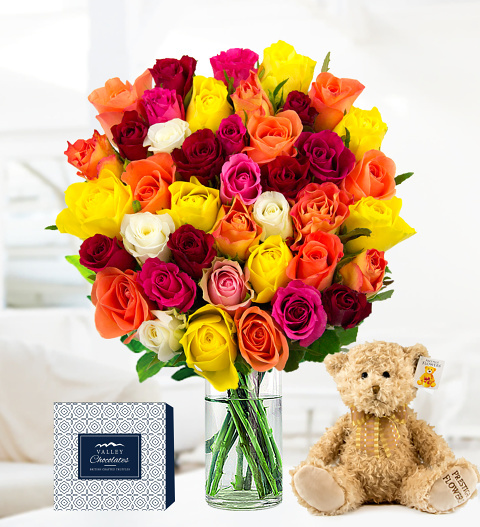 A floral classic with 40 beautiful roses expertly hand tied by our talented florists. This is a fragrant arrangement that is perfect for all occasions with each rose measuring 35cm long. Also included is a cuddly teddy bear and box of British made Valley Truffles. The colours are mixed with the size options adding 10 extra roses per upgrade.